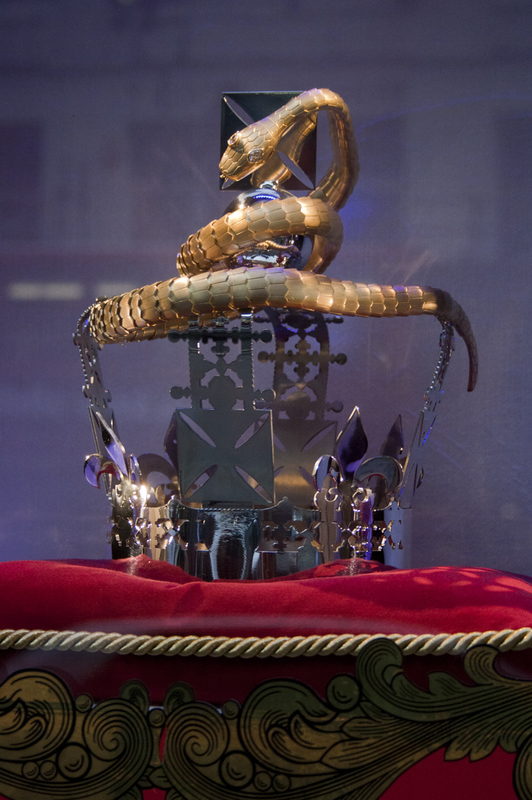 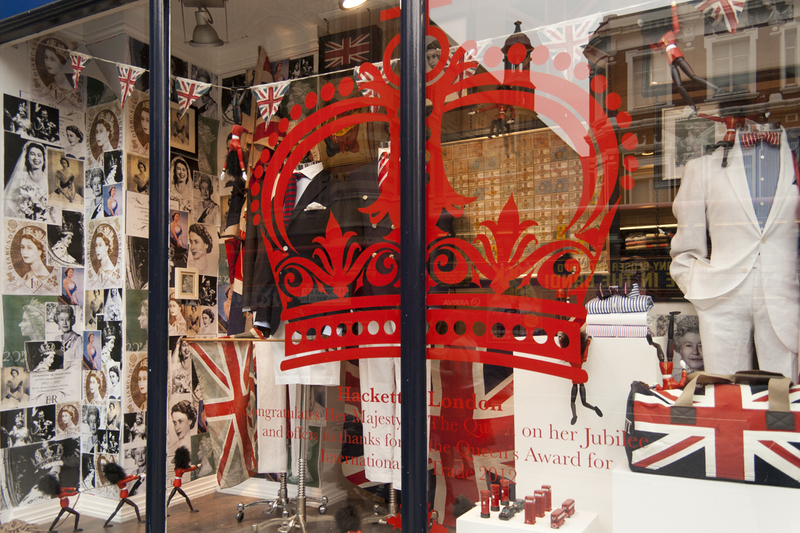 The whole lenghtÂ of the Brompton Road has these different crowns in the windows, they really are amazing! 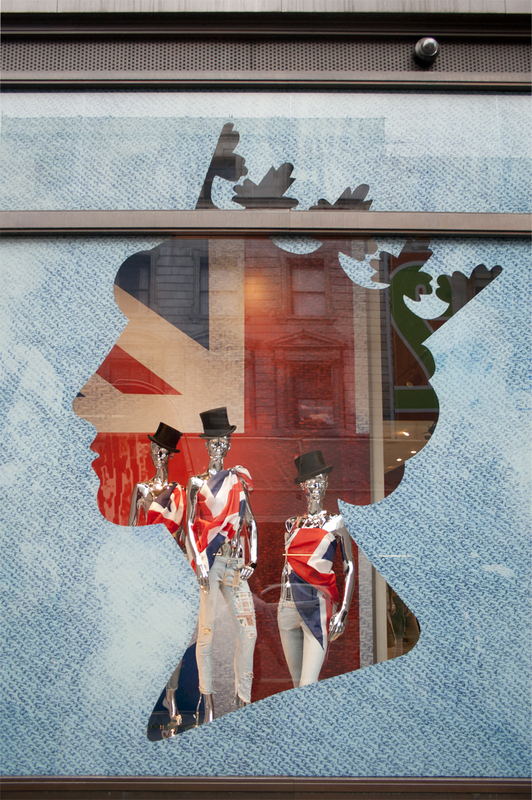 Happy long bank holiday weekend for those living in The UK! 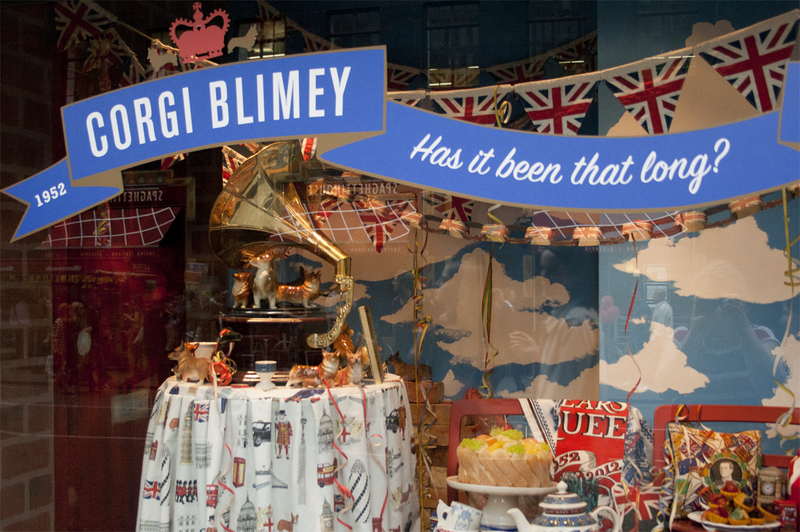 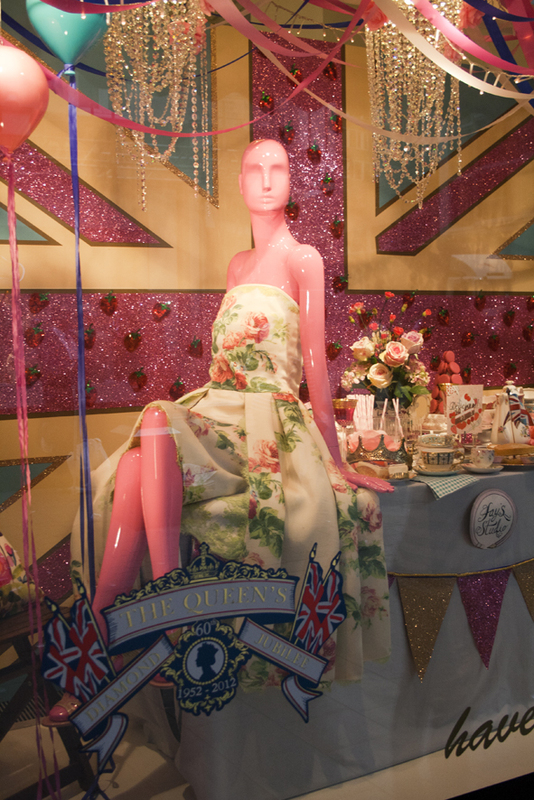 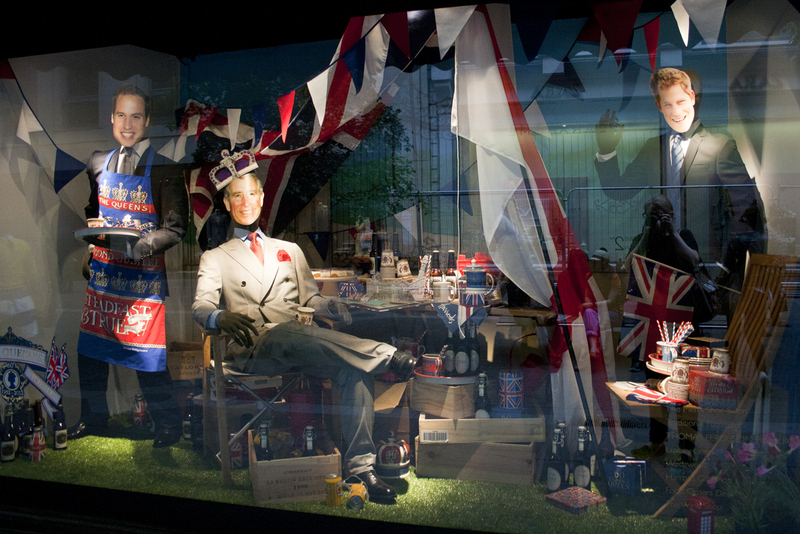 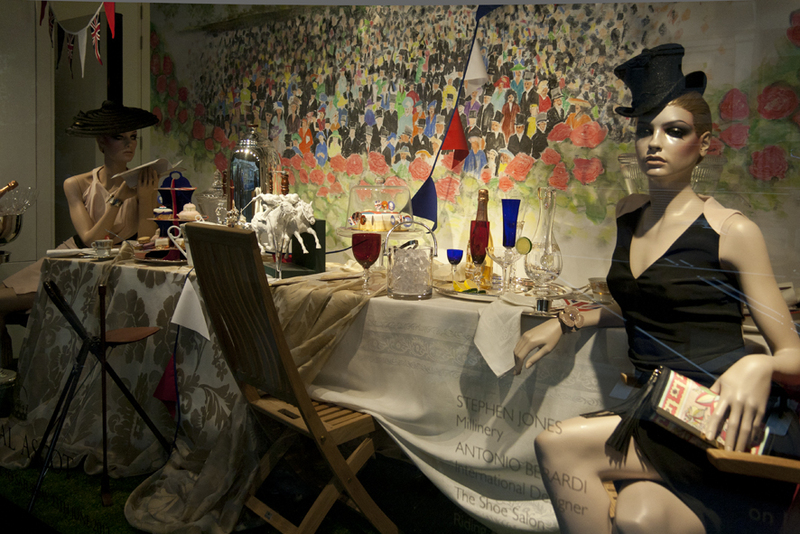 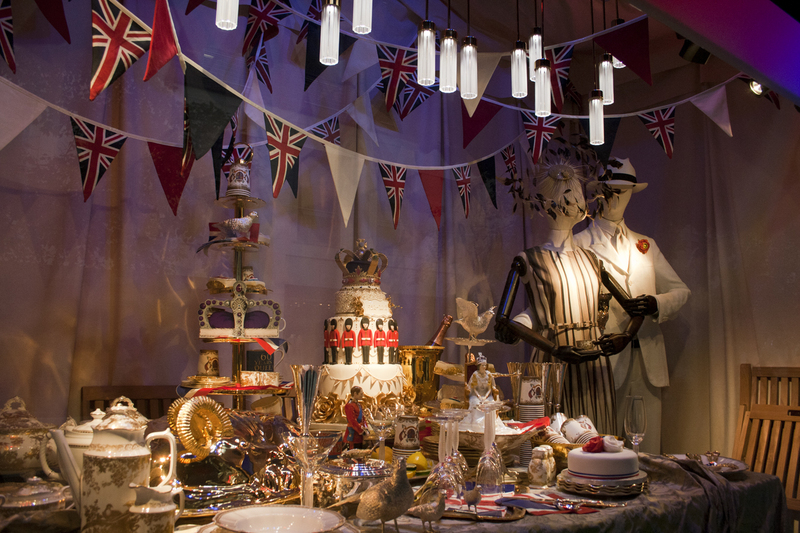 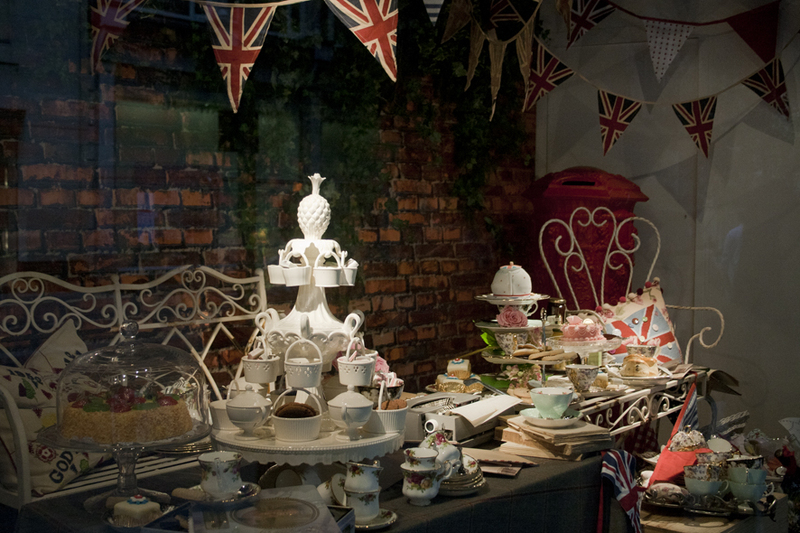 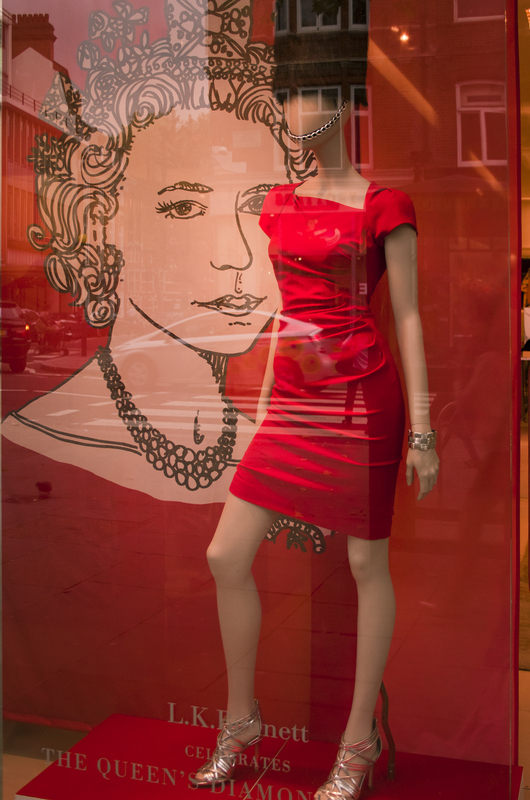 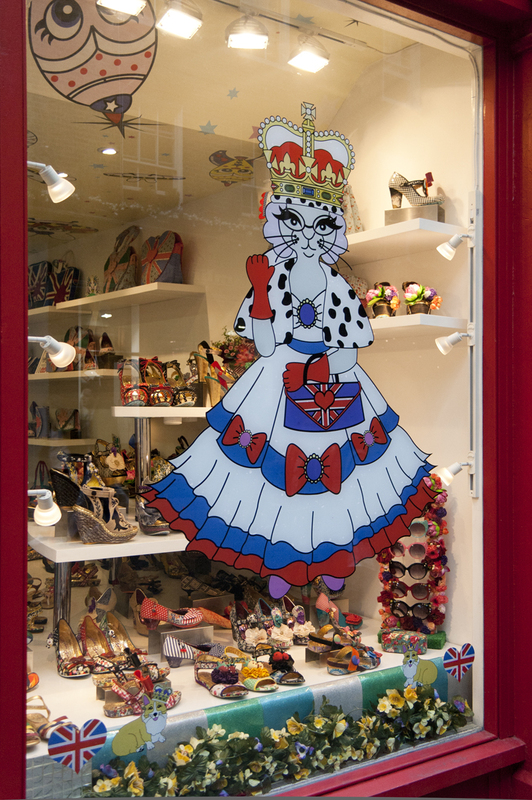 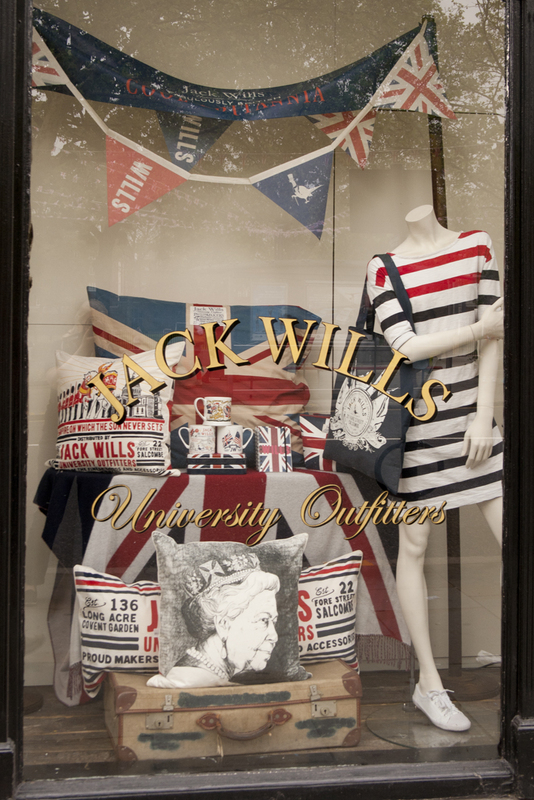 For those not in Britain, this post will give you a glimpse of how retailers here in London have joined the country wide celebrations of the Queen’s Diamond Jubilee. 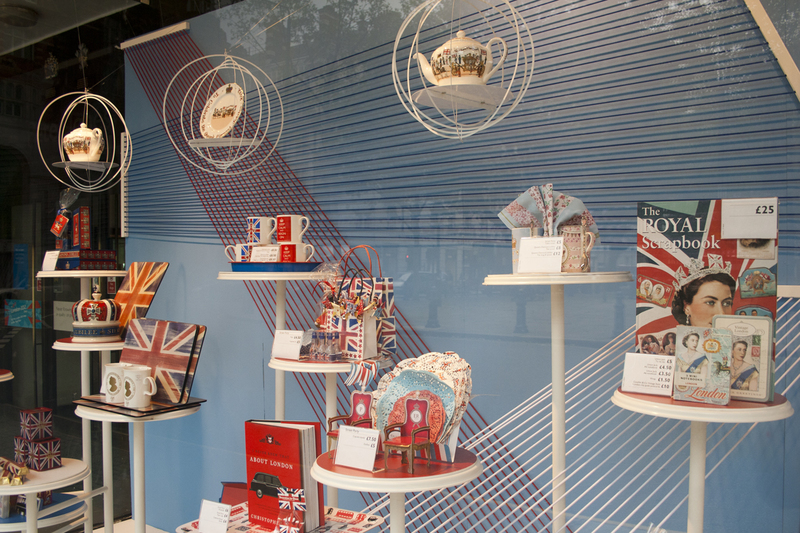 Here is a selection of windows filled with Queen Elizabeth herself, countless Union Jacks and a major opportunity to push any Britain related products… Guess, Regent Street. 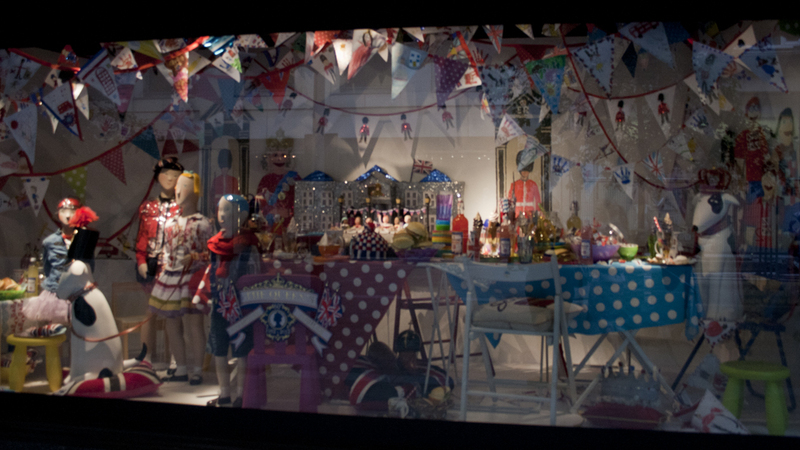 Liberty of London, Great Marlborough Street. 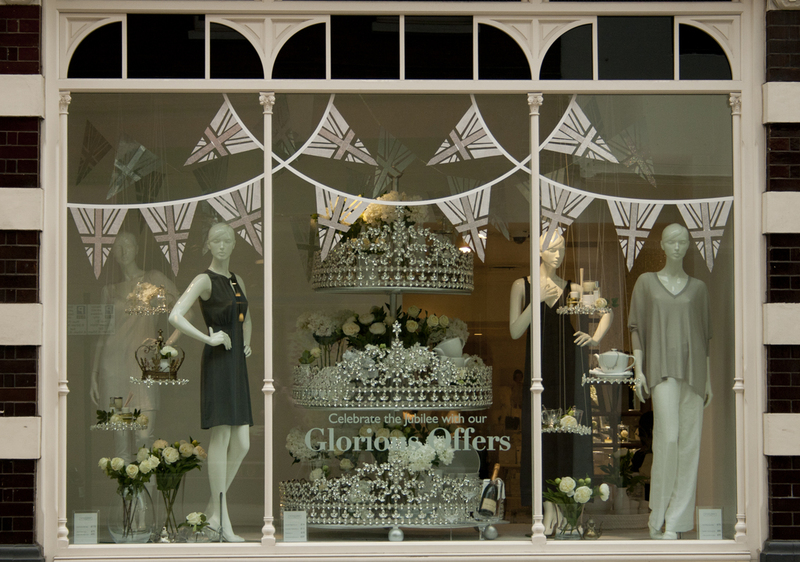 The White Company, Sloane Square Peter Jones, Sloane Square.